Description: In 1987, Miri Ammerman returns to her hometown of Elizabeth, New Jersey, to attend a commemoration of the worst year of her life. Thirty-five years earlier, when Miri was fifteen, and in love for the first time, a succession of airplanes fell from the sky, leaving a community reeling. 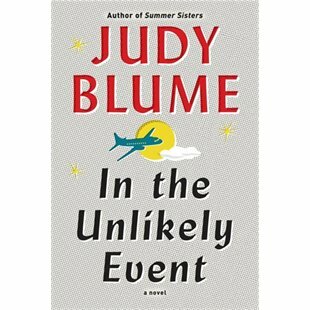 Against this backdrop of actual events that Blume experienced in the early 1950s, when airline travel was new and exciting and everyone dreamed of going somewhere, she paints a vivid portrait of a particular time and place—Nat King Cole singing “Unforgettable,” Elizabeth Taylor haircuts, young (and not-so-young) love, explosive friendships, A-bomb hysteria, rumors of Communist threat. And a young journalist who makes his name reporting tragedy. Through it all, one generation reminds another that life goes on. 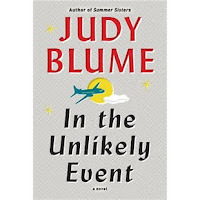 "Life is a series of unlikely events, isn’t it? Hers certainly is. One unlikely event after another, adding up to a rich, complicated whole. And who knows what’s still to come? "What was it with boys in her class? Was it that they liked the idea of spaceships and zombies? Was it too scary to think about what really made the planes crash ?" "Miri, sweetheart-life is hard," Henry said. "but its worth the struggle."